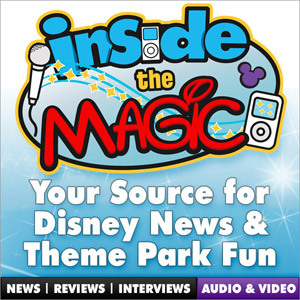 The Inside the Magic podcast is your #1 source for Disney news, reviews, interviews & theme park fun. In a special presentation moderated by the Film Society’s Noah Cowan, Pixar’s legendary innovators John Lasseter, Ed Catmull, Andrew Stanton and Pete Docter take you on a personal tour of the studio’s early days and the explore the process and creative vision that led to the first ever fully computer-animated feature film. Black Widow Bride voice Kat Cressida returns with a hauntingly fun sweepstakes that can land you at Disneyland. Plus we cover the latest news and take a listen to the final performance of Mulch, Sweat, and Shears at Disney’s Hollywood Studios.